On this day in history, President Ronald Reagan signed into law The Civil Liberties Act of 1988 (Pub.L. 100–383, title I, August 10, 1988, 102 Stat. 904, 50a U.S.C. § 1989b et seq.). Among other provisions, it earmarked individual payments of $20,000 to go to surviving Japanese-Americans who were sent to internment camps by the U.S. Government during World War II. Over 120,000 Japanese Americans of all ages had been forced from their homes in California, Washington, Oregon and Arizona pursuant to Executive Order 9066, issued by Franklin D. Roosevelt on February 19, 1942, which decreed that no one of Japanese ancestry could be allowed to remain on the West coast of the U.S. during its war with Japan. 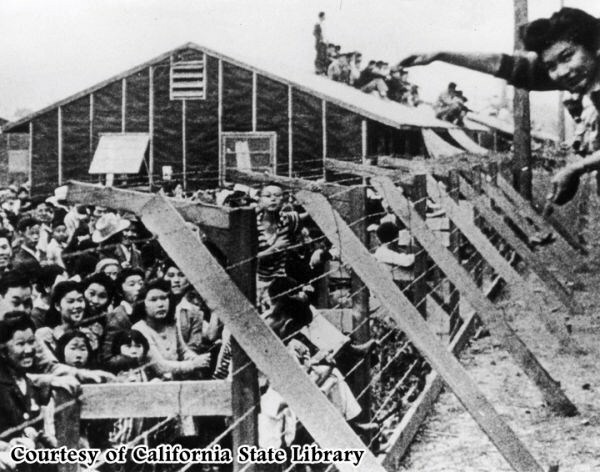 Some Japanese Americans were simply relocated eastward, but most were forced into internment camps. 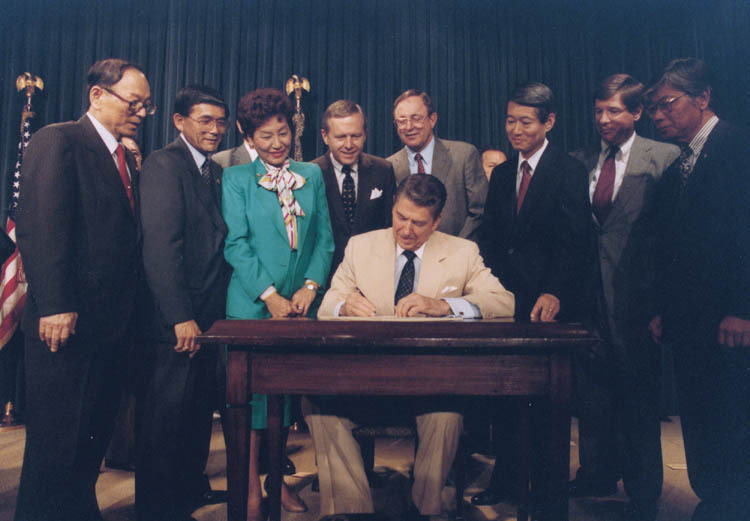 The 1988 act was sponsored by California’s Democratic Congressman Norman Mineta, an internee as a child, and Wyoming’s Republican Senator Alan K. Simpson, who first met Mineta while visiting an internment camp. The third co-sponsor was California Senator Pete Wilson. The bill was supported by the majority of Democrats in Congress, while the majority of Republicans voted against it. Even after the passage of the bill authorizing a total of 1.25 billion dollars for distribution, appropriating funds for this purpose proved to be very difficult. In 1988, Reagan suggested allocating a sum of $20,000,000 of the national budget for redress payments, only enough to pay 1,000 individuals. Finally, in 1990, a bill spearheaded by Senator and 442nd regiment veteran Daniel Inouye ensured that all redress payments would be made within the next three years. When it was discovered that there were about 80,000 eligible individuals instead of 60,000, the figure on which previous assessments had been made, more funds were allocated through the Civil Liberties Act Amendments of 1992.